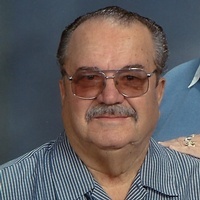 Junior “Andy” Ervin, 87, Bremen, passed away unexpectedly at his home on Friday, Dec. 15. Andy was born on April 30, 1930, in Lakeville, the son of Anthony F. and Ethel (Sherman) Ervin. On June 4, 1950, he married Mary Lou Swank. He is survived by his loving wife of 67 years, Mary Lou; three sons, Joe (Cheryl) Ervin, Jeff (Darlene) Ervin and Steve (Becky) Ervin, all of Bremen; three grandchildren, Holli (Steve) Shively of Bremen, Corey Ervin of Indianapolis and Ryan Ervin of Noblesville. He is also survived by seven great grandchildren, Kaelyn Shively, Ashton Shively, Mikayla Shively, Alexia Ervin, McKinley Ervin, Malana Ervin and Myah Ervin. He is preceded in death by his parents and three siblings, Rosetta Ervin, Betty Garton and Carl Ervin. Andy was a lifelong Bremen resident and graduated from Bremen High School in 1948. After high school, he began working for NIPSCO and retired after 42 years as a Construction Supervisor. He loved watching NASCAR and considered Dale Earnhardt his hero. Andy loved fishing and taking care of his backyard pond. He was a loving husband, father, grandfather and great grandfather and will be dearly missed. Visitation will be held from 3 to 6 p.m. Monday, Dec. 18, in Mishler Funeral Home, 2030 St. Rd. 331, Bremen. Funeral services will be held at 11 a.m. Tuesday, Dec. 19, in the funeral homes. Pastor Neil Wonnacott will officiate. Burial will follow in Bremen Cemetery. In lieu of flowers, the family request that memorials be made to American Heart Association at www.heart.org.